A superb, hand-painted Papo Quetzalcoatlus model. An amazing model of the Pterosaur Quetzalcoatlus by Papo. 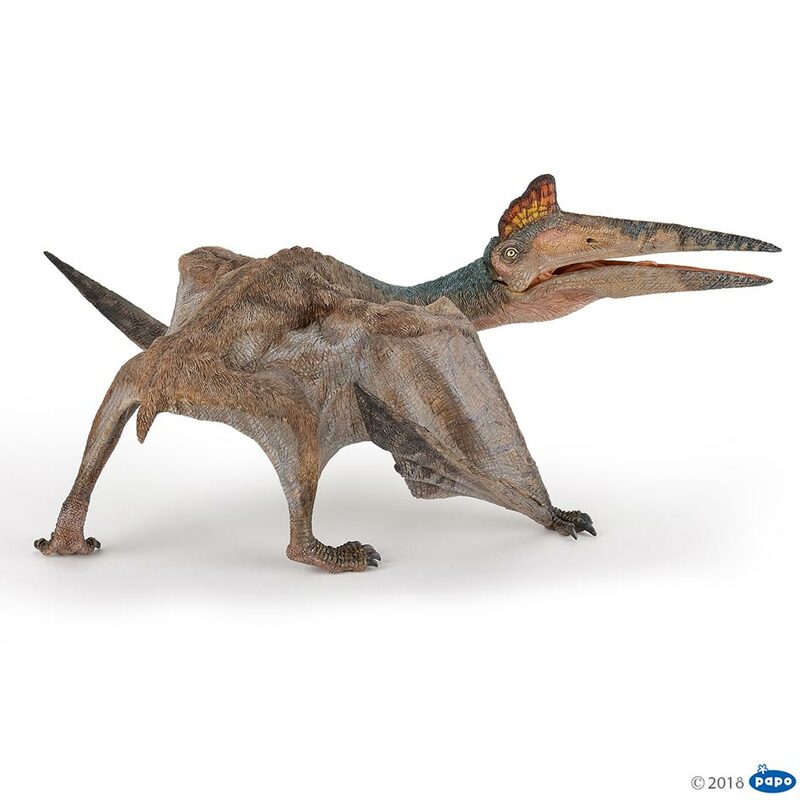 A Papo Quetzalcoatlus flying reptile model. Length 21 cm approx. Height of head crest 10 cm approx. One of the most amazing models I ever saw! So realistic and detailed, its pose is really unusual, not as most of the models have. Its not 5 stars, its 10 stars! What a blazing introduction to Papo and Everything Dinosaur! This Quetzalcoatlus has serious presence! The coloration is subtle, but detailed, as is the texture. The musculature is visceral, very realistic. What an incredible product. One can hope they come out with maybe a few more colors, or poses …. this one is just what I was looking for, though! The Papo Quetzalcoatlus is superb! Fantastic detailing all over the model just as you would expect from Papo. The paint application can’t be faulted with the naturalistic colour choices and tones. The browns, blacks and subtle use of green really work well on this model. The addition of a nice purple for the veins on the wings, flesh colours and the head and orange with yellow for the crest really brings this model to life. As per normal I received fantastic service from Everything Dinosaur. 5 stars!